The Foundbite app allows users to share photos with others which are accompanied by sound clips. Foundbite has announced the release of its self-titled app on Android devices. 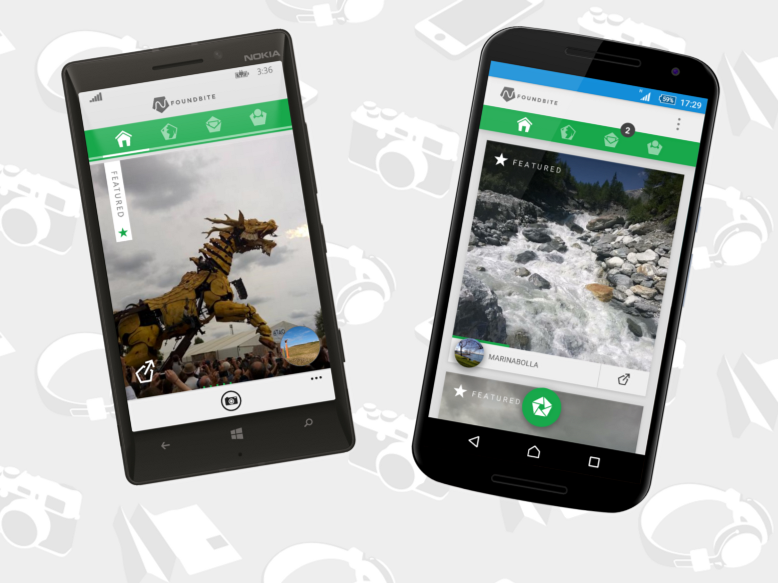 Previously only available on Windows Phone, the photo-sharing app allows users to take and share photos with the community, which are accompanied by sound clips up to five minutes in length. When browsing content on Foundbite, users can view images on a featured tab, view content posted near them or browse posts from around the world by tapping on locations on the app’s world map. While users can view images without sound, tapping an image loads its sound clip, containing the ambient noise surrounding the photographer when the photo was taken. For instance, a picture taken at a racetrack could include a sound clip of cars driving around the track. As a social network, users can follow others and post comments on content. Users can share their own posts, or those from other users, to social media. Since Foundbite’s launch on Windows Phone in November 2013, the app has been downloaded more than 150,000 times and has more than 16,000 active users globally. The app’s Android launch was made possible via $75,000 in funding from IdeaLab. We are extremely excited to have received this funding from such an esteemed organization as IdeaLab. Foundbite is designed to be shared, and now we are capable of opening our Foundbite community to millions of Android users around the world. Foundbite is available to download for free on Google Play. The app is coming soon to iOS.